Carving a Pumpkin for Halloween? Don’t Throw Away the Seeds! Halloween is approaching and many of you will be carving pumpkins. With that comes the fun task of scooping out plenty of pumpkin seeds. You might be tempted to throw them out, but don’t! There are many good reasons why you should keep them. Pumpkin seeds are great to eat year round. If they aren’t a regular part of your diet, this is a good time to start eating them when you have them on hand. Taste isn’t the only good thing about pumpkin seeds. They are a good source of protein, B vitamins, vitamin E, iron, magnesium, potassium, omega-3 fatty acids, fiber, and zinc. They have anti-inflammatory properties and also contain the amino acid tryptophan. It converts to serotonin which can help you sleep. 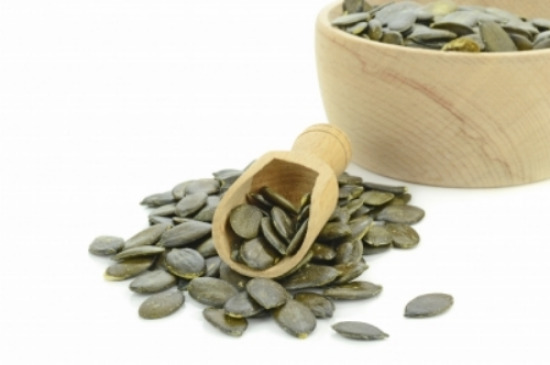 With all the acidic food in the average diet, pumpkin seeds are a good addition because they are also alkalizing. If you want to roast your pumpkin seeds after you scoop them from the pumpkin, you want to make sure you don’t roast them at too high a heat or for too long. You don’t want to negatively affect the fat in them by cranking the oven too high. Spread them out on a baking sheet, sprinkle on a little sea salt and roast them at 165 degrees Fahrenheit for 15–20 minutes. Whether you buy your pumpkin seeds from the store or dig them out of a pumpkin, store them in a sealed container in the fridge to keep them fresh. If you do buy them, choose raw, unsalted pumpkin seeds. It’s an extra step to roast them, but this way you have control over the temperature. 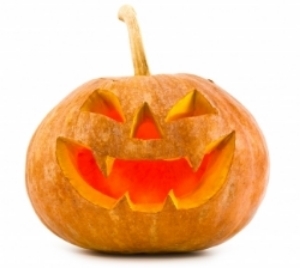 However you decide to eat your pumpkin seeds, enjoy their healthy benefits, and have a happy Halloween!